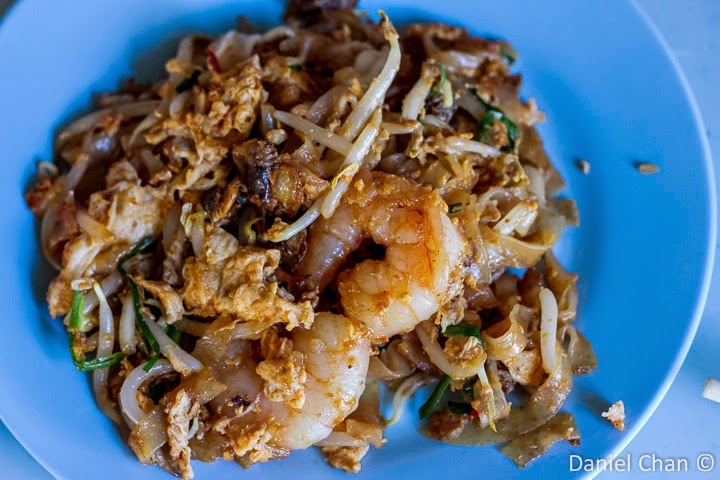 Char Koay Teow, fried rice cake strips is the next thing you’d think off, when going to Penang. Another must eat dish when you are here, this fried heaty oily dish is certainly the culprit of many people getting fevers and sore throats after traveling around in Penang. Do not get me wrong, it has nothing to do with the cleanliness. It all has to do with what the Chinese people beliefs in eating too much “heaty” food will give you a sore throat and fever. This was my first time trying this stall. 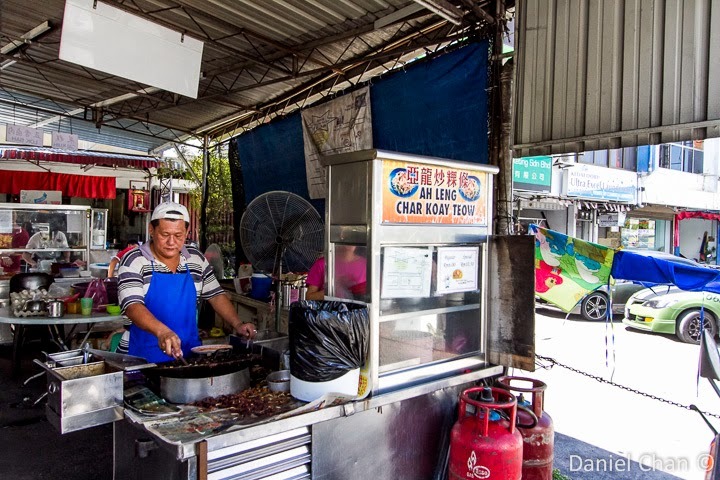 For Char Koay Teow in Penang, there are certain timings to adhere to. Some open during the day, some at night. Some are open from morning till night. We were here in Penang for a wedding and the bride recommend that we try this place. If the locals say it is good, it must be. It surely is. Take a drive to Jln Dato Keramat. At the beginning, in the direction heading towards the city center, on your left, after an Esso petrol station, will be Khoon Hiang Cafe. This cafe is a Chinese coffee shop that extended to the road. It will be hard to find parking along Jln Dato Keramat. I drove around to Jln Dunlop to park right next to this place. 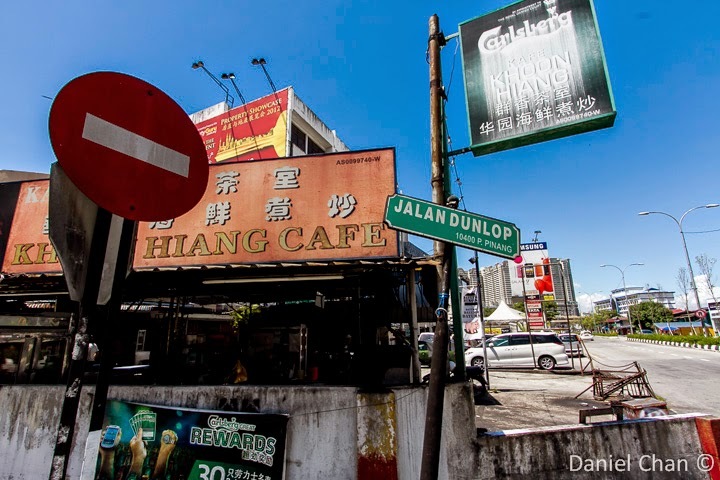 I’d say the junction of Jln Dunlop and Jalan Dato Keramat, is where you will find this place. We had arrived at 2pm. This place closes at 230pm. It was a mad rush. 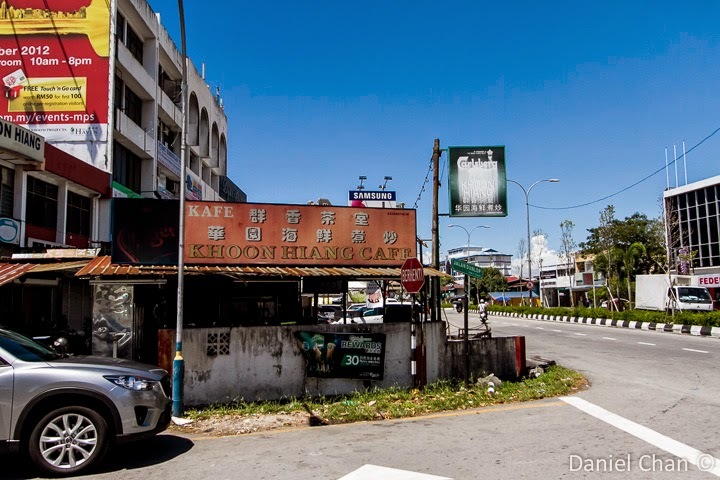 I think we need to make this clear, the proper name of the stall is Ah Leng Char Koay Teow at Khoon Hiang Cafe on Jln Dato Keramat. This is not Ah Leng by the way. This is just one of his workers who man the place when Ah Leng is not around. The prawns given here are huge. 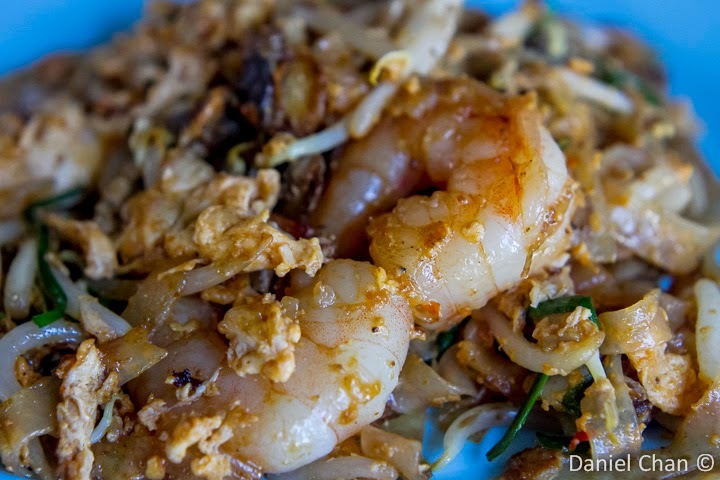 Char Koay Teow has eggs, prawns, bean sprouts and the prawns are the highlight for some. 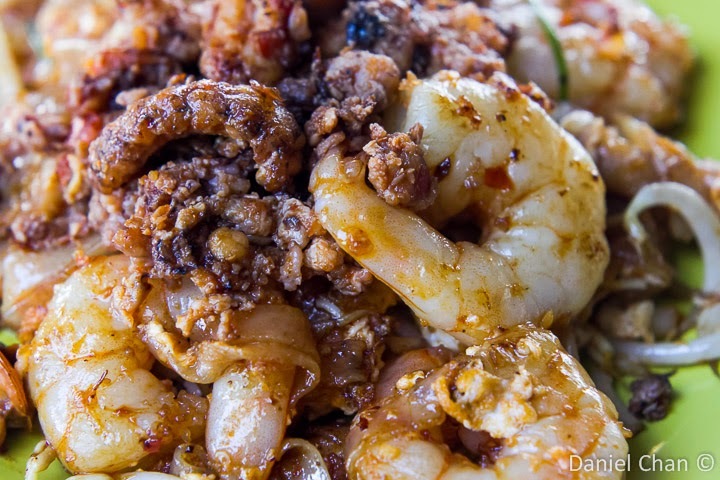 You need large prawns for a good bowl of tasty char koay teow. When you order, do remember to ask for duck eggs to be used. 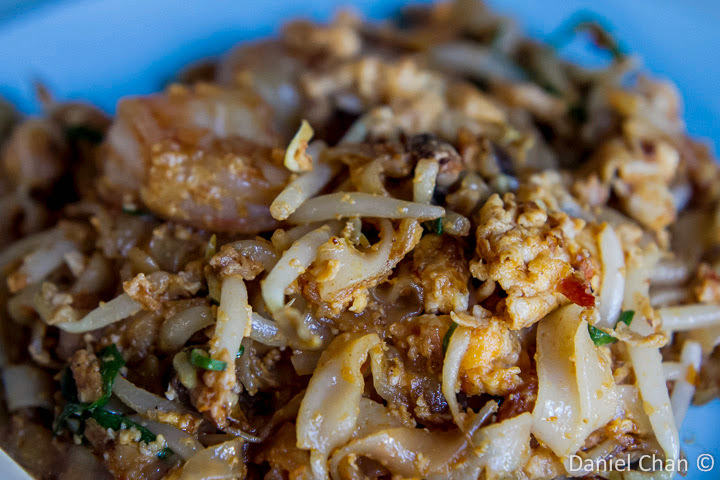 The duck eggs char koay teow are known to be more fragrant and tastier. This dish comes at a price of RM6.50. 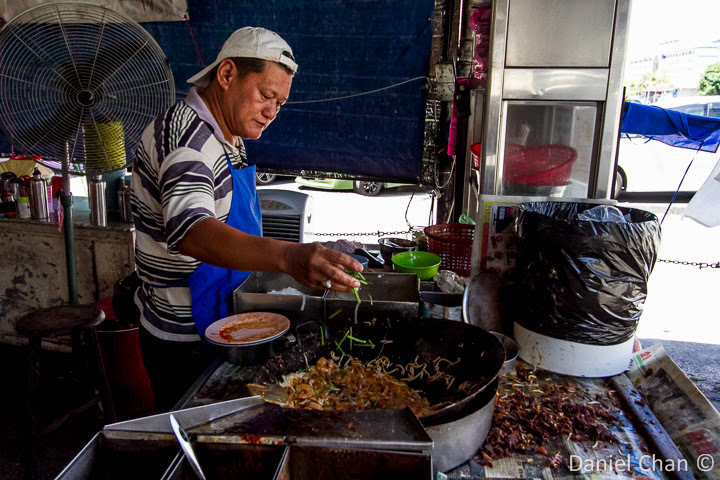 I’d say probably the best char koay teow I have eaten thus far in Penang. This one goes to the top of my list. The oils and flavors blend properly. This is not a salty dish and the “wok hei” / 镬气 is present in the dish. We Chinese people love the strong aroma of the frying wok. I do not know how to quite put it but yes, it makes the food tastier. 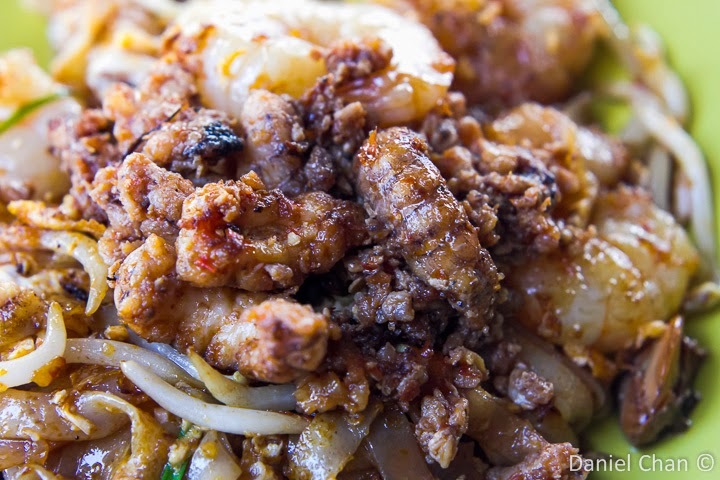 The juicy prawns add flavor to the fried noodles. 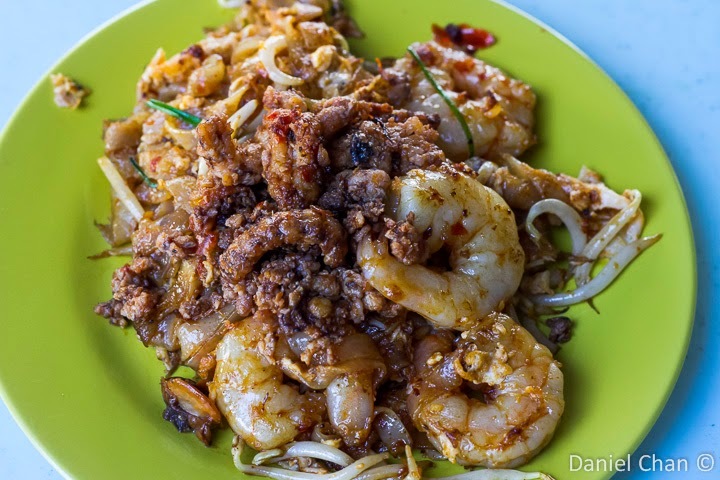 You are not able to find such large prawns in KL Char Koay Teow. There is another twist in this dish. 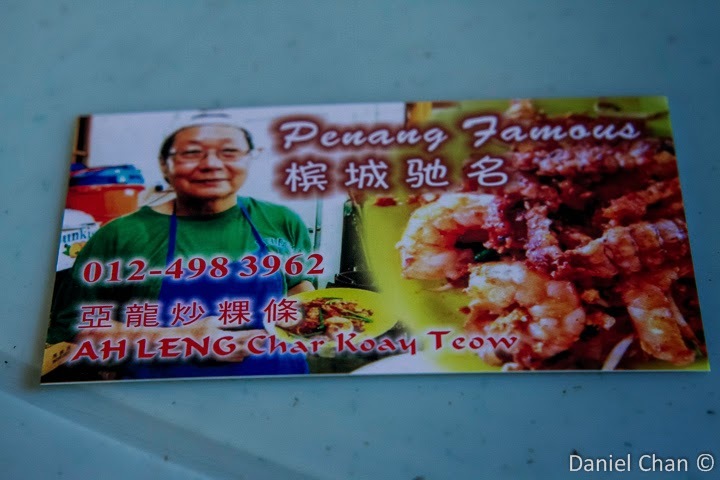 The owner calls this the Char Koay Teow Special which consist of more prawns and also mantis prawns. The mantis prawns seen on the left of the large prawn to me did not make much of a difference. At RM11.50, this was a tad too much but you can give it a try just for the road. This place is open 830am to 230pm. Let the dish cool down for a while before digging in. If you notice my food blogs, I do not bother trying to describe the taste. Taste is relative and one man’s food is another man’s poison. If this is poison, let me die satisfied, in peace. 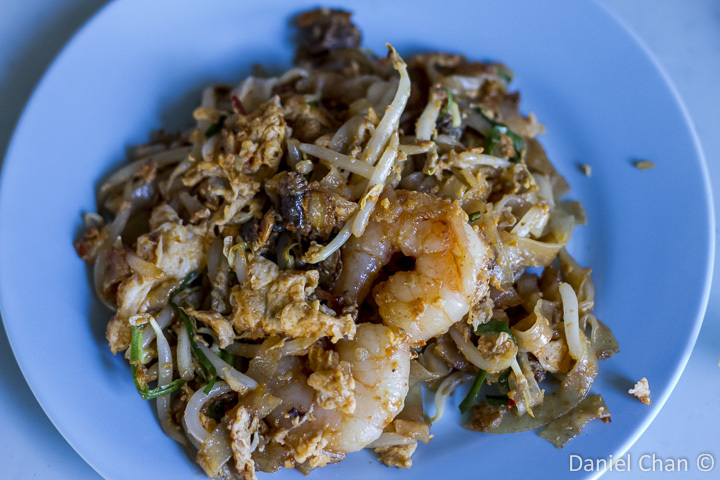 Lovely Char Koay Teow. 30w, Jln Chor Sin Kheng ,11500 Air Itam where he opens from 6pm to 10pm. 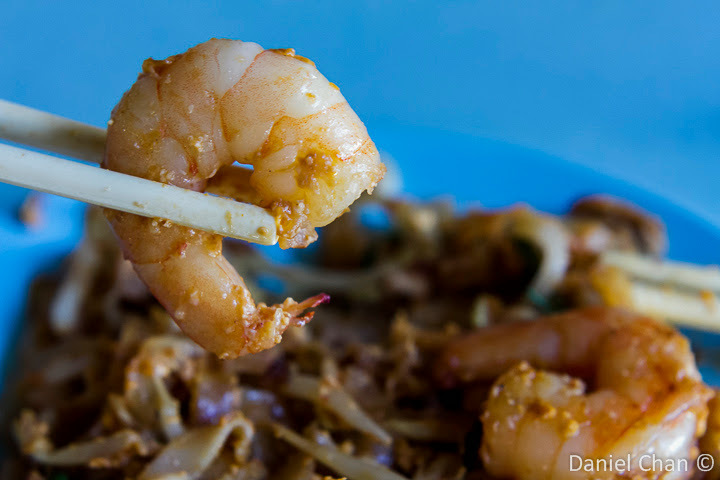 Writing this post, I find myself hungry and craving for some good char koay teow.